What one generally requires from an electric lock is for it simply to open when the button is pressed and ideally to continue to do so for years without breaking. But a good electric lock can do so much more. 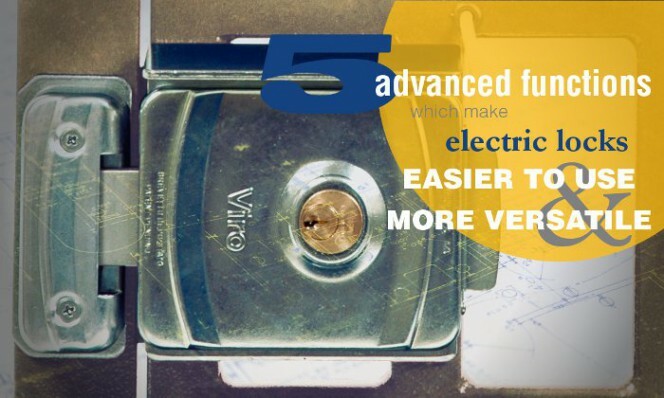 Let’s look at 5 advanced features which make the best electric locks, such as Viro ones, easier to use and more versatile. In any lock to be installed (including electric locks) the backset is the distance between the centre of the outer cylinder and side of the lock from which the latch protrudes. This is one of the basic measurements which determines the possibility of installing a lock on a specific access. Less sophisticated locks have fixed backsets, which means that for every specific access it is necessary to purchase the precise model which possesses the right backset for installation at that point. Viro electric locks have, on the other hand, adjustable backsets and the same model can therefore be easily adapted to different installation situations. This minimises the risk of purchasing the wrong model and allows professionals to readily have the correct lock available without having to keep in stock many different models and without having to purchase the correct model each time. 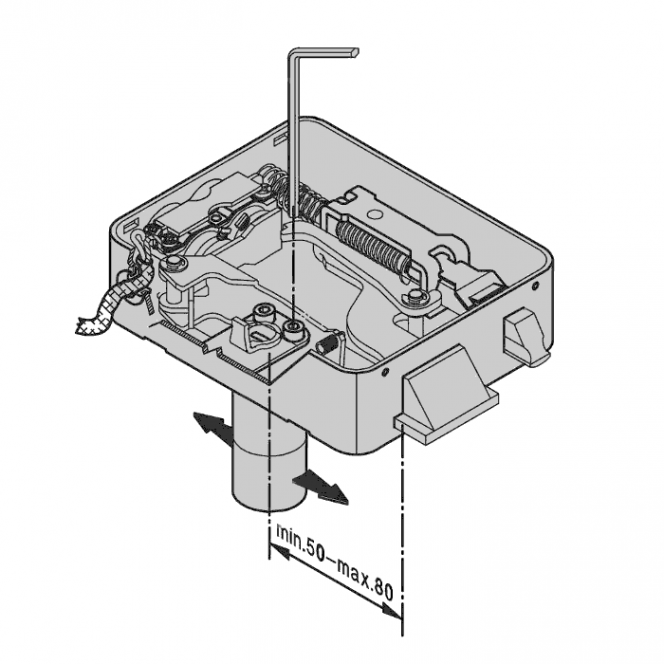 See how to adjust the backset of a Viro electric lock. Locks with a button must only be installed if the button itself is not accessible from the outside; otherwise it could be easily be opened from the outside simply by pressing the button. For this reason they cannot be installed on open mesh type gates. Even in this case, simpler types of locks have two different models, with or without a button, so that they can be adapted to different installation situations. Viro electric locks have, on the other hand, a button which can easily be excluded with a particular key rotation. In this way, the same model can be used in different situations, thereby further reducing the possibility of purchasing the wrong model and also allowing the intended use of the lock to be easily changed in the future. Another important function, from the point of view of versatility and ease of use, is the ability to block the lock in the open position. This is the so-called “dogging device”, which is normally used to disable the lock during the day when, for example, the entrance is manned or when entry must always be allowed. In the Viro electric locks with a button, the “dogging device” can be activated simply by turning the key whilst holding down the button. Electric locks normally operate in “service” mode. When they receive the electrical pulse they are made ready for opening and they are only reset once the door has been opened and closed. This operation mode can create problems from the point of view of security since, once the pulse has been given, even by mistake, if the gate or door is not opened and re-closed, the lock remains open. For this reason, Viro has developed the rotary deadbolt locks which, by means of a simple internal component, can also be set up in “security” mode. In this case the opening only takes place if, at the same time as the electrical pulse, a pressure is exerted, either manually or automatically, on the gate; otherwise, upon completion of the electric pulse, the lock returns to the closed state. This ensures that the lock only opens when the entrance is actually opened, too, and it closes immediately afterwards, without the risk of it remaining open indefinitely. In the electric locks by Viro the safety function can be set by simply removing an internal gear. See how to set up the security function and how it works. There is a saying in Italian “be satisfied with what you have”. However, at least in the case of electric locks, if you do not settle for just any type of lock you will be even more satisfied, because a Viro electric lock can do much more than just open and close. This entry was posted in Electric locks and tagged technology, tips on 1 September 2014 by Mara Rossi.